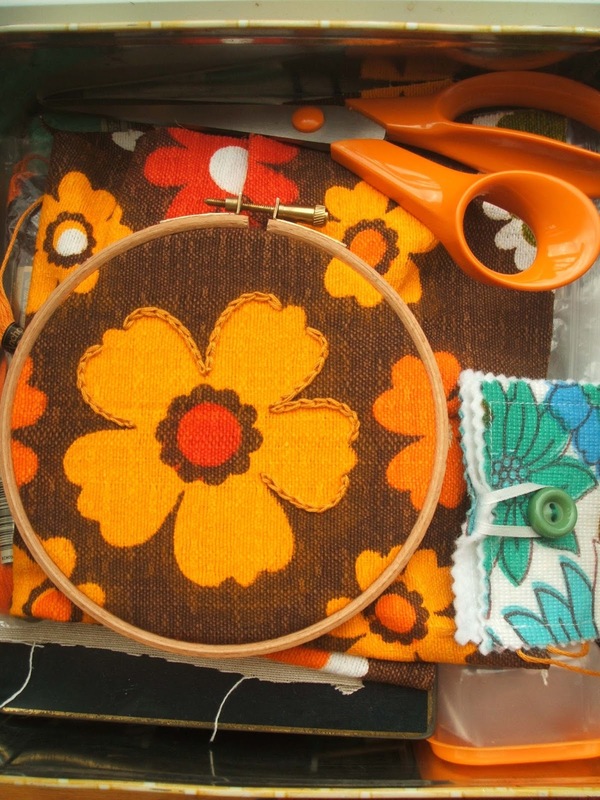 As someone with a huge collection of vintage fabric scraps and offcuts, it makes sense to use them in my crafting. 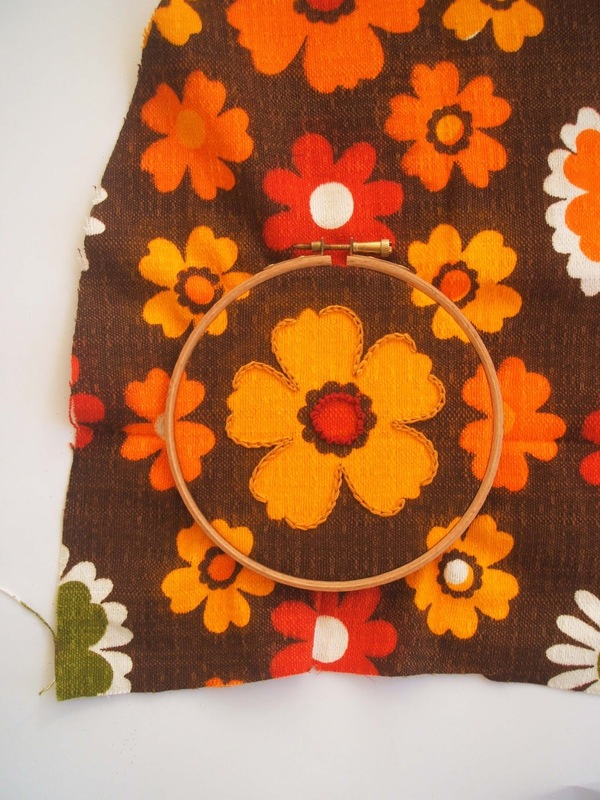 I have been making and selling handmade homewares on Etsy since 2007 and I've always used retro fabrics. I have amassed heaps of pretty scraps and I never know what to do with them. Until I have time to sew an enormous vintage fabric quilt, I will make do with using some of it for embroidery practice. 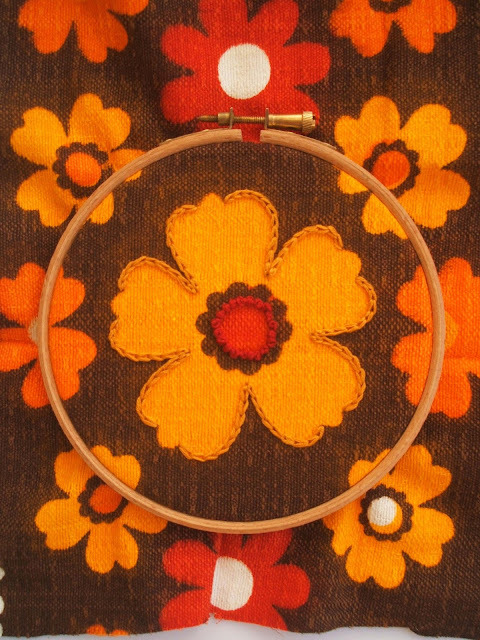 I find the bold, floral patterns of fabrics from the 1960s and 1970s lend themselves perfectly to hand embroidery. It offers me a lovely template to work with and the only limit is your imagination. It's also a no-stress project that you can pick up and put down whenever you want. 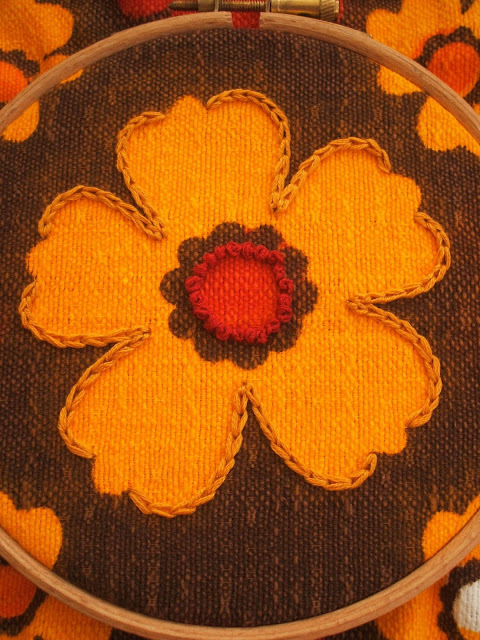 So far I have added chain stitch around the flower and a little circle of French Knots in the middle. 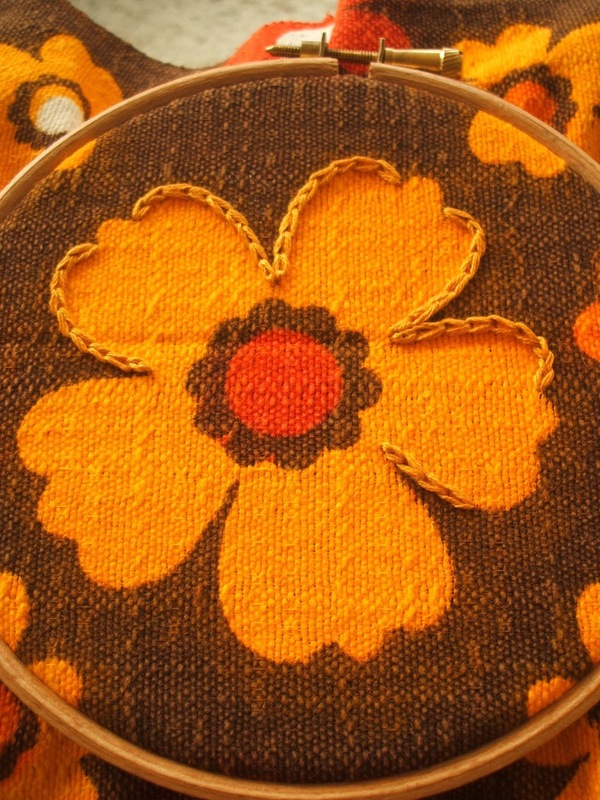 Over time I can add more or move onto another flower on the fabric and create new effects with different stitches. I am linking up to November's 'Crafting is my Therapy' with this blog post. 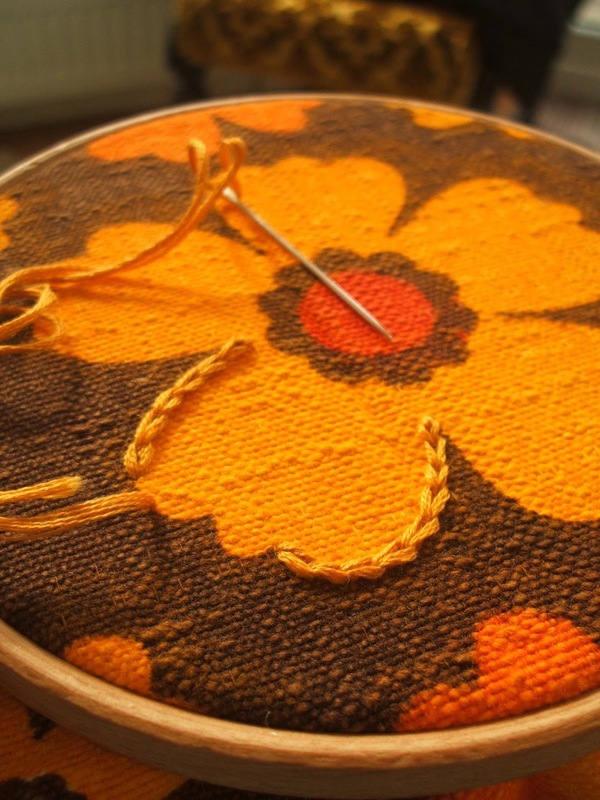 If you blog about crafts, we'd love to have you on board. 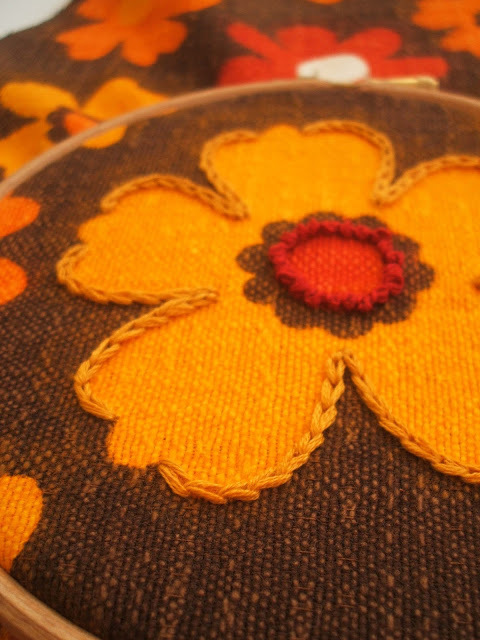 The linky will open on 4th November at 7pm (GMT) and stays open for the whole month – giving you plenty of time to get involved.